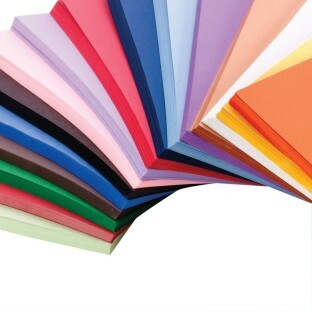 This fade-resistant construction paper is 100% vat dyed sulphite. At 76 pounds, this paper is tough enough to take scoring, folding, and curling without cracking or tearing. Superior fade resistance keeps projects brighter, fresher, longer. Available in different colors. 9” x 12”. Pack of 50.